Those eggheads over at Digital Foundry have put together an interesting analysis of Fallout 76. Based on an early preview build of the game, the publication goes over everything from general performance to engine upgrades. Unfortunately, things are looking rough overall. The Xbox One X version of the game -- running on what is the most powerful console -- doesn't ease any fears over the title's technical performance. As we've heard numerous times now, the frame rate is especially dire, barely sticking to 30 frames per second even when there's no real action on screen. Digital Foundry also points out that even at 4K resolution, some textures are incredibly muddy, and the general graphical quality doesn't show much improvement over Fallout 4. 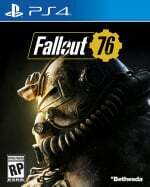 This is somewhat expected given that Fallout 76 is an always online game, but again, it doesn't inspire much confidence. Bethesda has said that the preview build isn't indicative of the finished product, and let's hope that's the truth. The developer has a rocky record at best when it comes to the performance of its games -- particularly on PlayStation consoles -- so it's really going to have to step this up before the game launches next month. On the one hand it's in beta but on the other it's a Bethesda game. And Bethesda wouldn't spot good optimization if it painted itself purple and danced naked on top of a harpsicord, singing "Good optimizations are here again!" Come now Bethesda, the game in stores on release day won't be the finished product either. Silly billies. @adf86 Are you suggesting that Bethesda are as good at optimisation as a group of colour-blind hedgehogs in a bag? Ark when it launched performed very badly but was a great game to play and has improved significantly over time. A good does not have to look great or perform perfectly to be a good game. @hotukdeals Ark was advertised as early access and didn't cost $60. rather than paying for QA, they can monetise it for 60 quid a pop. genius! Lol, people still want to play Bethesda games on consoles. @Turismo4GT How will it run on PS4, I wonder? Stuff of nightmares. @ShogunRok if it runs at a 'cinematic' 24 FPS on X, you can be sure it'll run like a PowerPoint presentation on base PS4. Hopefully Bethesda gets it together by or shortly after launch. It wont get better, maybe with mods on PC. I'm so happy I'm not interested in this game at all. It's probably going to be painful considering how buggy Fallout games usually are. Now with multiplayer implemented... oh dear. Fortunately I have zero interest in this. Fallout3 was for me one of the best games of all time for the freedom, humour, and fantastic surprising quests it had. Fallout 4 wasnt anything like this and 76 is looking to be just more of 4 but worse. Definitely won't be getting this until after launch if at all, still too many questions about the gameplay and as a primarily solo player what's on offer let alone the performance so far. If this has even a quarter of the normal amount of jank that a typical bugthesda game has on release, it's going to bomb hard(no pun intended). It was tolerable with fallout 3 and Skyrim, but now it's beyond ridiculous. I suspect many who preorder this or buy on release will be in for a nasty shock. Agreed, I'd go so far as to say Fallout 4 is easily one of the most overated single player games of the generation. And I really enjoyed F3. Bethesda's own games always seem to be horrendously optimized for consoles. Didn't they have to remove fog from one of the FO4 DLCs? @hotukdeals Ark is a buggy mess. The game is still broken. Very Bad example. It will not be polished and it will not be optimised. It's Bethesda and it's a format of game they haven't done before. Can you expect anything else? Man their games look like rubbish and have terrible performance...way to go, buy an engine off CD Project or Guerilla. Am I the only one that when I think of Bethesda I think of awesome single player fps? They should stick to that, because I absolutely love their fps. What I do not get is that Bethesda FPSs like Doom or Wolfenstein run perfectly on consoles and their engine is fantastic while their RPGs runs like crap with such outdated engine. No chance to adapt the Doom one for next Elder scrolls/Fallout games? @ellsworth004 Bethesda published doom & Wolfenstein they did not develop..
Good, I hope this game flops so bad they'll learn their lessons and immediately work on the next single player Fallout game.